Dog-Friendly Training for you and your pet dog. What is Treibball (pronounced Tribe-ball)? It originated in Germany a little over 10 years ago, and means “push ball”. 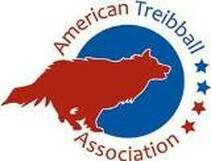 Treibball is a low-cost, low-impact sport, any dog and handler can play. If your dog has a nose or a shoulder, he can play Treibball! The game is simple to play and train, and only requires a few fitness balls, some treats and a love of working with your dog. Your dog learns to target the balls, and then goes out into a playing field and pushes balls to you, with direction and control. The game is timed, with only one dog and handler team on the field, so mildly reactive dogs can participate too. Fun and communication between the human and canine partners is the true essence of this game. Treibball Level 2 and 3 coming soon!